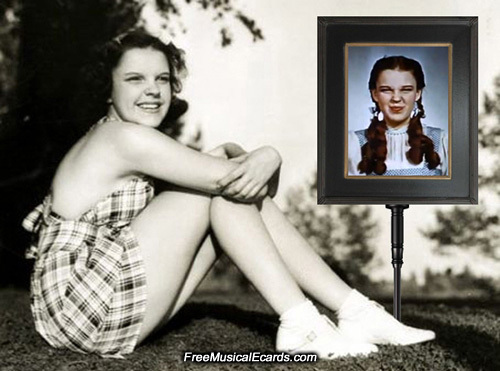 The Wizard of Oz beauty, Judy Garland was under contract with MGM but they didn't quite know what to do with her during the early part of her movie days. She was up against Deanna Durbin who was another promising teenager. A series of tests then have the girls perform together in Every Sunday (1936) proved to be a pivotal turning point in their careers. 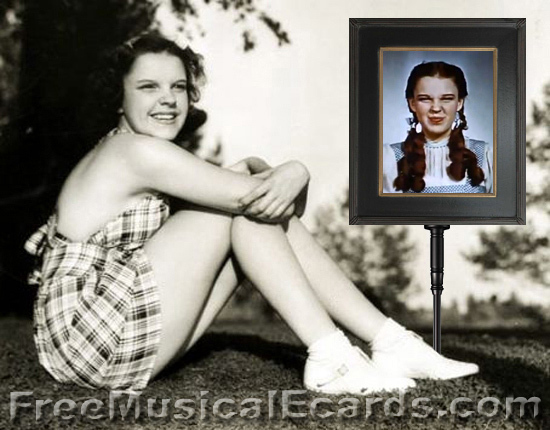 Judy Garland showed Hollywood's biggest studio that she was more worthy of keeping with her strong acting and singing skills, while Deanna Durbin was released to Universal Studios. Judy Garland's maturity, talent and beauty meant that she would go on to become a megastar and perform key roles in classic movies after another, and earn a special place in the history of motion pictures. 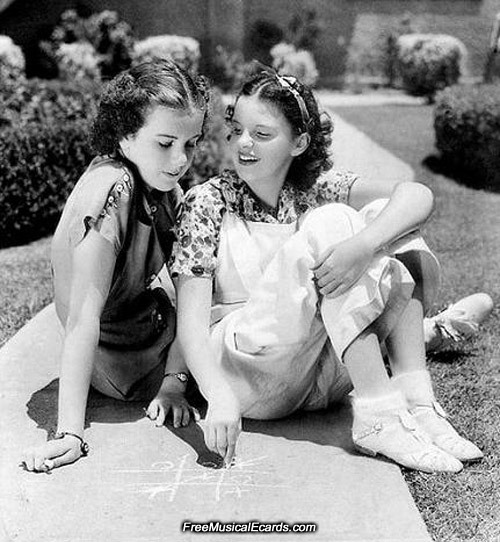 noughts and crosses together on the lawns of MGM in 1936.